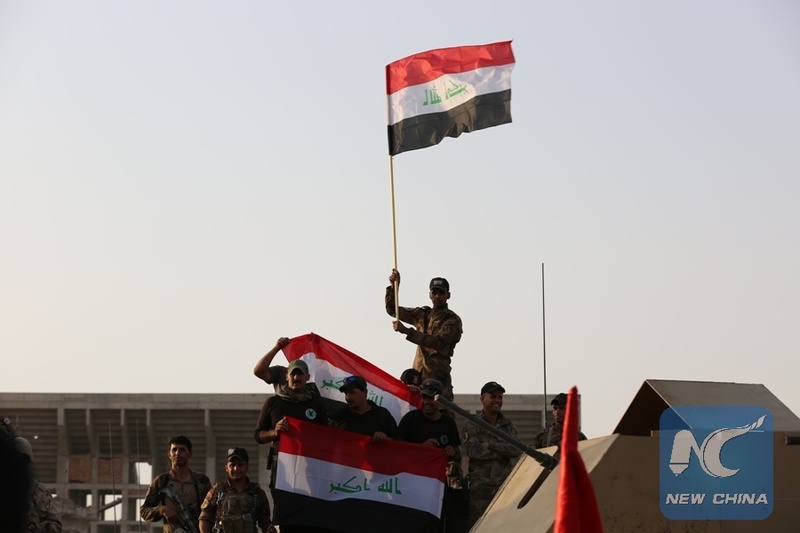 UNITED NATIONS, July 10 (Xinhua) -- UN Secretary-General Antonio Guterres on Monday hailed the recovery of Iraq's northern city of Mosul as a significant step in the fight against terrorism and violent extremism. In a statement, Guterres paid tribute to the people and government of Iraq for their courage, determination and perseverance. "The United Nations will stand by the government of Iraq in the tasks ahead of creating the necessary conditions for the voluntary, safe and dignified return of displaced communities, restoring the rule of law in freed up areas, preventing a return to violence and fostering accountability for all violations committed," said the statement. Earlier on Monday, Iraq formally announced that Mosul has been freed from the Islamic State (IS) after nine months of fierce fighting to dislodge the extremist militants from their last major stronghold in Iraq. Mosul, 400 km north of Iraq's capital Baghdad, came under IS control since June 2014 when government forces fled. The capture of Mosul enabled IS militants to take control of parts of Iraq's northern and western regions.